This is done with the knowledge that the first 2 weeks post transplant are the most critical for organ rejection and major complications for both our boys. Josh is doing fantastic and handling his own self medicating. 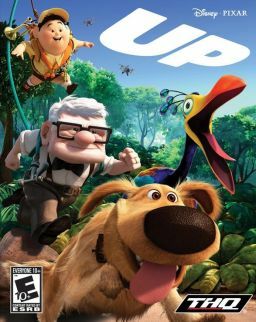 Today will be an “UP” day for hopefully both of them. We have been told to remember what babies are like when they first arrive on the scene. They eat (Josh and Scott will need close to a 100grams a day of protein) and SLEEP SLEEP SLEEP (our bodies were designed to restore-mend and in their case grow almost another whole organ)! This all normally expected in a 6-8 week period! By Friday of this week Josh should be ready to be discharge to the hotel for a two day observation before heading to Westbrook for the most of the regrowth time Scott is expected to remain at least 10 days before discharge. Cards for Josh would be better mailed to the Westbrook home and for Scott if sent before May 15th to the Lahey Clinic address. If anyone desires visits please call Robin before venturing to the hospital and remember 15-30 minutes MAX. So if you are traveling a long distance perhaps waiting for return to Westbrook would be more feasible. Family will be gathering a help list for help with meals -errands-doctor checkups house cleaning help and for those who can maybe 2-4 hour shifts of care sitting. Due to allergies flowers are best avoided. Gifts to (to help with uncovered medical costs) are a good option. PRAYERS always welcome and needed ! Friends of Robin(you know her) surprise her with a lunch date, fun date or just chilling together date. Most likely by day 8 I would not be surprised to see Scott ready to grab his IPAD and restart his blogging! Ken says to hang in there, it’ll take a couple of days. He also says to memorize your meds. 4 years post and doing well. Praying for all of you, it’s a long haul kind of thing. Praising the Lord for His ever present grace. Thanking the Lord for success. Praying for not neccessarily a rapid recovery but a proper, healthy recovery. Please post addresses for Scott, Josh, and Robin. Great news. Thanks for blogging. Wonderful way to keep all up-to-date! Tell Scott my prayers are with him. Praying for a speedy recovery and a smooth start to a new life of health.